Several native and non-native mammalian species can be found living on St. Catherines. 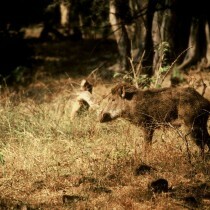 The highly social species lives in groups, or troops, of up to 30 individuals. On St. Catherines Island the population subdivided into six troops. Females are dominant in troops. The ring-tailed lemur reproduces readily in captivity, and also in this free- ranging population. 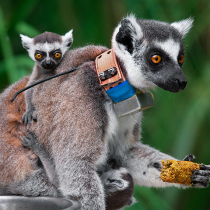 Eighty-three ring-tailed lemurs inhabit St. Catherines Island (as of 18 February 2013). 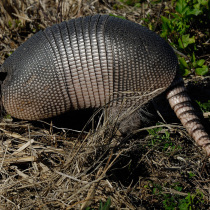 The nine-banded armadillo (Dasypus novemcinctus) recently arrived on St. Catherines Island. The species was first seen on the Island a decade ago, but has become more evident in the last three years. 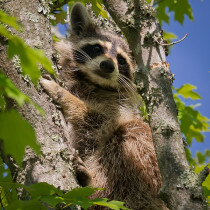 Northern Raccoons (Procyon lotor), a native species, widely inhabit North America. 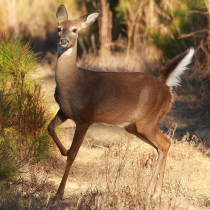 They occur in many different types of habitats, but remain most abundant in areas near water, including bottomland hardwood forests, hardwood swamps, and marshes.